She’s the teenage Voice Belgique star formerly known as Ellie Delvaux. Now as Blanche, she’s ready to take on the rest of Europe at Eurovision 2017 and looking to try and take Belgium to the top ten yet again. Her song “City Lights” was set to be revealed via livestream tomorrow morning, but has leaked ahead of time on Spotify. Deep, dark, moody — and modern! “City Lights” is certainly a welcome change to some of the entries we’ve heard. A piano intro leads to slick electronic beats, with hints of Birdy and Kodaline along the way. What will also no doubt stand out is Blanche’s deep vocal: a real contrast to some of the “shouty” divas already on offer in Kyiv. We’ll no doubt find out more about the song in due course at the official reveal, set for 11.45 CET on March 8. Come on Belgium! I knew you could do it!!! It’s not just Twitter who like the song either. Bookmakers have dramatically cut Belgium’s odds from 100/1 to 25/1 and they continue to fall. Things look very good for Blanche and RTBF! No matter what, Blanche has some real momentum carrying her in to Kyiv. Both Loic Nottet and Laura Tesoro made the top ten in the last two years and the country will hope for the same again. Are we at the point where the question of “will Belgium qualify?” is becoming an afterthought? What do you think about Blanche’s entry? Do you think that Belgium can be a contender for the win this year? Shout out all your thoughts on the wiwibloggs app, or in our comments section below! I have a venture that I am simply now working on, and I have been on the look out for such info. Very captivating song! Cool choice. I think it could win. All depends on the staging, it will make or break it!? I’m so proud of my country!!!!!!!!! @Gippa: Don’t waste your time answering, let that thing starve. LOVE IT! Little Belgium plays to win! Subject-wise, it’s reminiscent of Elina Born’s “In or Out” and tonally, it’s more like Morland & Debrah Scarlett’s “Monster Like Me”. Blanche’s voice is soooo good, I cannot believe she is only 17! Overrated. It’s good, but not a winner. So many expectations on this entry but it left me cold… For the record, I think it’s a good song. I love it. Top 5 for sure, but last year I liked Croatia and look where that song ended. And in the light of Brexit it would please me hugely if Belgium won. The Benelux are stronger than ever! This is my number 1 so far! Wow! A breath of fresh air among the mass of kitschy sticky-sweet ballads. It is innovative. It is relevant. It is going all the way. Bravo, Belgium! I LOVE THIS!!! The ending is kinda strange, and I thing it’s kinda repetetive, but IS THIS BELGIUM!!??? WHERE DOES THIS COME FROM!!!!!!!????? Final 100%, and probably top 10, but it is Belgium, so I can never know. It sounds like something Lorde and Lana Del Rey would put out. Oh my good god!! I’m in love with this song from the first listen!! It came from country above!! It’s a great song: modern, mysterious, layered and quite interesting. The one flaw that I can find is that it remains flat throughout, which makes it difficult to tell the verses and the chorus apart. I’m also not the biggest fan of her voice, but it’s definitely unique and refreshing compared to most of the other female voices this year. It’s a contender for a top 10, no doubt, but I can’t really see it winning either the juries or the televote (but then again, neither did Jamala). I think its direct competition will be France. It’s a respectable entry, but this sounds like a song I’d play in the background while doing work, rather than watching Eurovision. It lacks something to draw me in. Its success in the contest may come down to the staging, and I am def curious to see what RTBF decides to do. For now I’m putting this mid-table but could elevate it. Can I just say take my hand AND NEVER LET GO!!! This is very my style and I love it so much. I don’t wanna jinx anything, but I see this doing very well. Can the Walloon broadcaster pick their entry every year please. Or Belgium could just host it in a smaller venue. It doesn’t always have to be in an airplane hangar. They’re isn’t that many suitable venues in Bruxelles or Wallonia. I think all are under 10 thousand capacity. All the big venues are in the Flemish half. It could be seen as a sign of unity for doing it in that half of the country. It’s not like doing it in the Netherlands. Fantastic song, well done Belgium. @YoungsterJoey: her odds crashed because she was forced to wear that barbara-dex-winning costume during her performance which turned so many people off from voting. it’s a shame, really. Amazing! Top 5 for Belgium! Someone mentioned it below BUT could Belgium simply be the Croatia of last year? As Lighthouse was released, Croatia’s odds improved big time and quick! Then later, suddenly, in April, the odds crashed. this chick just snatched my wigs right from its roots. You post many comments on this bloggs, with with 2 maybe more different names. Oh god, yet another so called critic who comments negative things ALL the time. Give it a rest hunny, Slovenia is trash and you know it. Rude, yes. But Robyn herself also told him to give up. I was just re-iterating her statement. Thanks, lol. @Cambell Grace: Can you throw your rubbish into the bin and stop recycling formers Eurovision dance songs with average vocals for the competition before hating on Slovenia? Thank u! 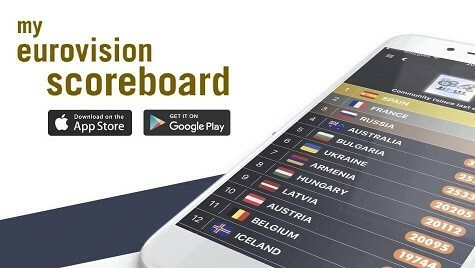 @USAescLover: Try to keep yourself updated … Turkey is no longer in the contest since 2013 (Thank God!) … Bosnia not taking part this year … Azerbaijan is paying some Swedish team to do again another Swedish song for them as always … And listen a bit less to the rubbish that is currently on the Billboard charts so that you can understand that there is a world outside Billboard with other music styles and genres called Eurovision. When will Bosnia present their song ? Armenia ? Azerbaijan ? Turkey ? I really like it but the song does not have a wow moment nor does it build up in the final minute. They would need to do a lot of work on it to make it a top three song.